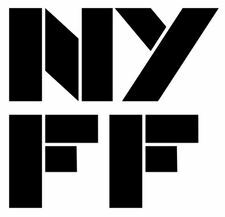 I'll try to update this post with program, jury, awards, and other relevant information on the major film festivals compiled in this post as the year in fests continues to develop. If you're lucky enough to be able to attend one of these or another local or specialty festival, let the rest of us know which films to keep an eye on! Final list of Berinale restorations announced, including Ung Flukt (The Wayward Girl), a 1959 Norwegian film featuring Liv Ullman's first lead performance, and Destry Rides Again restored with consultation by Scorsese and Spielberg. As Sundance winds down, here's an overview of the major acquisitions, as well as festival diaries from Justin Chang at the LA Times, Manohla Dargis at The New York Times, and AA Dowd at The A.V. Club. That’s all very well, but it’s not a compelling reason for a film this oppressively repellent to exist: Though based on a well-received nonfiction bestseller by Heinz Strunk, it’s not psychologically insightful as a study of violently toxic masculinity, nor even particularly informative as a cold account of a corrupt life. Instead, Akin’s vacant provocation functions purely as a cruel terror exercise, teasing viewers with uncertainty over which hapless woman on screen will be carved up next, and pressing half-heartedly for empathy with a real-life psychopath who, as written and presented here, hardly seems worth such a complex investment. ...it remains to be seen how much gruesome slumming audiences are willing to pay to do. On some level Fritz’s story is compulsive viewing, only you wish you weren’t there. Located uncertainly between a seriously repulsive horror film and Germanic black humor, this particular vision of hell owes a visible debt to Rainer W. Fassbinder. All that is missing is the camp note of a true Fassbinder film and compassion for suffering humanity. I loved Akin's last film — In the Fade, which won Diane Kruger Best Actress recognition at Cannes — so I'll see this regardless, but with considerably more reluctance than I was feeling yesterday. Oof---I thought with the long delay in announcing a president, they were going to go with an Oscar contender ala Spike Lee or Alfonso Cuarón, although Spike would have been yet another American. Tribeca 2019 Feature Lineup includes new films by Werner Herzog, Abel Ferrara, and Christoph Waltz (!). Very intrigued by that Nabil Elderkin as his music video work is quite good (love his "DNA" video for Kendrick and "Two Weeks" for FKA Twigs) and the cast is strong (Charlie Plummer, Kelvin Harrison Jr, Terrence Howard, Amber Heard). Guardian described the story of Gully as "Clockwork Orange in South Central Los Angeles." Doesn't hurt that he's working with Fukunaga's DP from Sin Nombre and Jane Eyre. Unless The Hollywood Reporter knows something I don't (if they don't know what Critics' Week is, then they probably don't), the Weerasethakul definitely won't be ready for this year's Cannes. The new Mendonça Filho also seems a good contender, especially since Verhoeven's film won't be present. Of the Americans, I really hope they go with a newbie, like they routinely did in the nineties with the likes of Hartley (man, I miss him), Haynes, Kerrigan, and, sure, Tarantino. At the moment, we're staring down another round of Jarmusch, Tarantino, and Gray (all fine enough). Of the contenders, I suppose Benh Zeitlin fits the bill, although it's hard to get amped for what he has next at the moment. Ira Sachs is continually being tipped because he has the right producer and the right actress, but as we saw last year, Fremaux is willing to reject anyone not named Ken Loach. The hope is for Reichardt to finally make her Competition debut, and I do think it's possible despite it being filmed in December. Kore-eda's latest with Binoche, Deneuve, and Hawke is basically tailor made to open the festival OOC with its combination of star and auteur power---hopefully its production company doesn't insists on a competition slot ala last year's Everybody Knows. And hopefully they can get more than one film in Spanish in Competition---that's long been a blind spot of Fremaux's and getting a Mexican to head the jury doesn't fix it. EDIT: Forgot there was a thread for The Beach Bum. Unless The Hollywood Reporter knows something I don't (if they don't know what Critics' Week is, then they probably don't), the Weerasethakul definitely won't be ready for this year's Cannes. The Weerasethakul hasn’t even started shooting yet! Deadline speculates about the Cannes lineup. Says Radegund will be screened, but Wendy won't. Unlike his past few, Malick spent his sweet time with that one. Wow. That's great.There hasn't been an IMDB update since late 2017. I was reading an interview with one of the actors and he was just like, "Well, I hope it comes out this year. We finished shooting it two years ago." Well, it will screen at Cannes and then disappear until 2020 because it’s Terrence Malick. I wonder if what helped the last couple films was a lack of predetermined idea. As if the presence of an originating structure (i.e. screenplay) actually hinders Malick's ability to achieve an end product he's satisfied with.